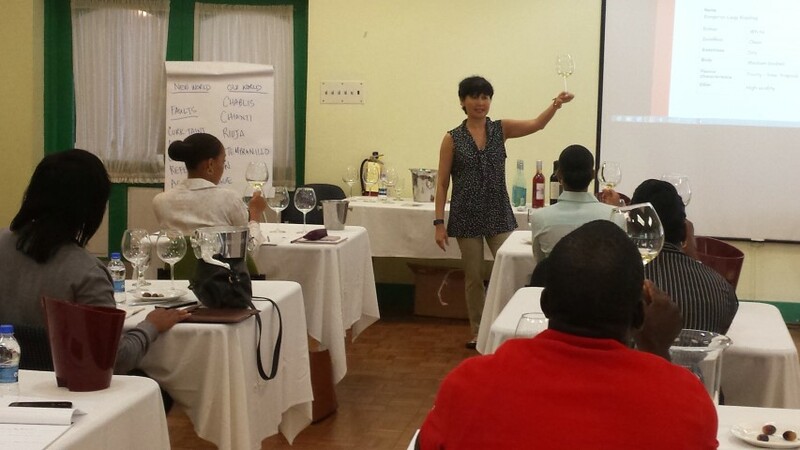 The Antigua Hotels and Tourist Association (AHTA) is pleased to facilitate a Wine Certification Course with assistance from the world recognized London’s Wine and Spirits Education Trust. Twenty seven participants representing a number of hotels and major resorts across the island commenced the training course on Monday, which is taking place at the Antigua and Barbuda Hospitality Training Institute (ABHTI). WSET was established in 1969 to provide high quality education and training in wine and spirits primarily to persons working in the Food and Beverage, Restaurants and Wine suppliers. The five day training course is being facilitated by Accredited Instructor, Ophelia Santos, who has a wealth of experience in the knowledge of wines and taste of wines. Santos is delighted to be a part of the training course, which she said will be highly regulated and structured, with a lot of interaction. She indicated that the qualifications that will be garnered from this course, are recognized globally and assured that it is a great accreditation to have, since it almost guarantees employment in the food and beverage sector worldwide. “The classes are geared specifically towards hospitality professionals. Level 1 is for both frontline staff and retail personnel. This is a very basic class. It talks about wine and it will also talk about the service of wine. Level 2 speaks to what gives wine its sense of place”, Santos explained. She noted that one of the overall aims of the training is to ensure that the participants are able to deliver memorable and knowledgeable service to their respective guests and clients upon completion and certification. “It will be both a palate and a brain opener”, Santos teased smilingly. From the AHTA’s perspective, Training and Development Manager, Anthea Watkins suggested that the workshop is another part of the association’s mechanisms to educate hoteliers in ensuring that the best quality of service is delivered across the board. “We want the participants to walk away with a wealth of knowledge about wines and to deliver that exceptional service that we know will make sure that our guests have that ultimate unforgettable experience”, Watkins said. She expressed thanks to Premier Beverages and Kennedy’s Club Limited for the assistance in providing wines, wine glasses and other apparatus for the classes. Wine Manager at Premier Beverages, Christian Gravaleau and Wine Manager at Kennedy’s Club Limited, Siman Jallow, fully endorse the workshop and are eager to share their expertise with the workshop’s participants. Jumby Bay Rosewood Resort, Mill Reef Club, Sugar Ridge Hotel, Curtain Bluff Resort and Galley Bay Resort and Spa are just some of the properties that are represented during the five day course. The Antigua Hotels and Tourists Association is committed to its mandate to educate its members in various fields and sectors in efforts to improve the overall level of service offered in the hospitality sector.